With the fixtures for the new season about to be released, we are announcing that the price of the Outlaws Season Ticket has been frozen for 2019 at £100 for adults. Concessionary prices have also been retained at £70 for seniors and £227 for a family of four. The price points means that, outside of Membership, the season ticket will be comfortably the best value way to enjoy white ball action at Trent Bridge. Nottinghamshire’s schedule for the forthcoming campaign will be announced tomorrow (Tuesday 27 November). The Royal London One-Day Cup and Specsavers County Championship schedules are set for release at 10am, with the T20 Vitality Blast dates to follow at 5pm. 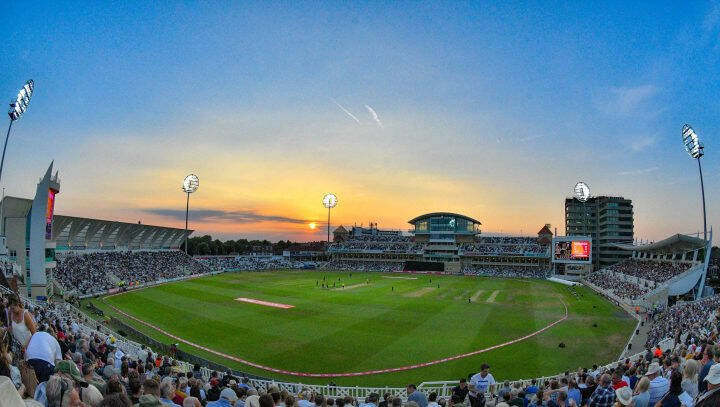 The Outlaws’ Season Ticket will, once again, incorporate all regular 50-over and T20 matches – as well as a priority purchase window should the Outlaws quest for glory result in knockout cricket at Trent Bridge in 2019. It will be on sale from 10am by clicking here, or by calling the ticket office on 0115 899 0300. Purchasers of an adult ticket that attend all 11 of those matches will save over £100 on the price of match tickets – or a guaranteed saving of over £50 if the holder chooses to solely attend the 20-over format. Pledge your support for the Outlaws by securing your Outlaws Season Ticket, from 10am on Tuesday 27 November, by clicking here. Alternatively, call the ticket office on 0115 899 0300.